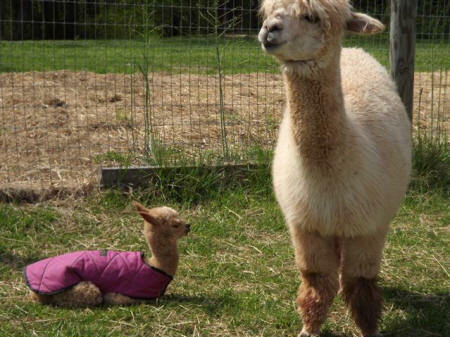 A special spring addition to the alpaca family has arrived! Cassie's cria was born April 20, 2012. Mother and daughter are doing well. Our friendly alpaca (and llama) gang loves visitors. Scroll down to see the farm photos. ... or treats from Cindy. Rolling down the hill is a favorite pastime. On hot summer days, the alpacas enjoy one of Scott's outdoor showers. 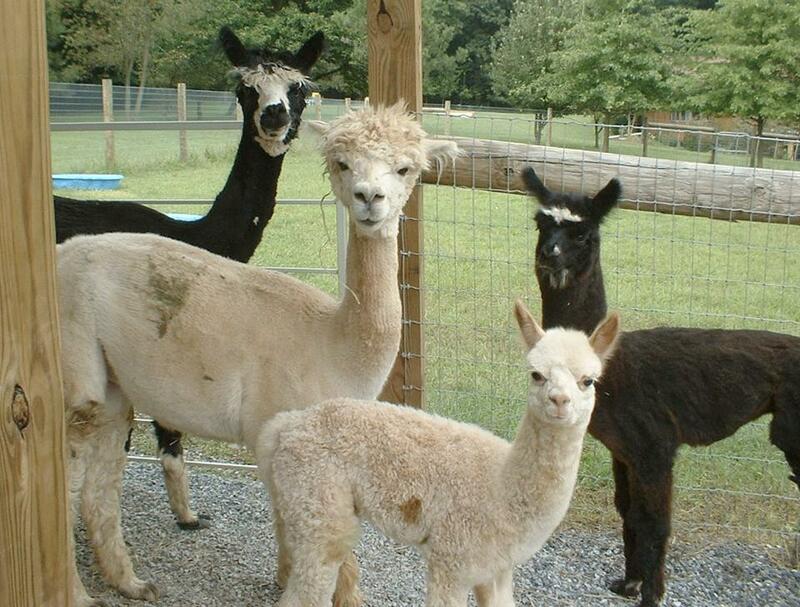 to meet the entire alpaca herd.